Medical illustrations and anatomy is a running theme for the work of Nychos. 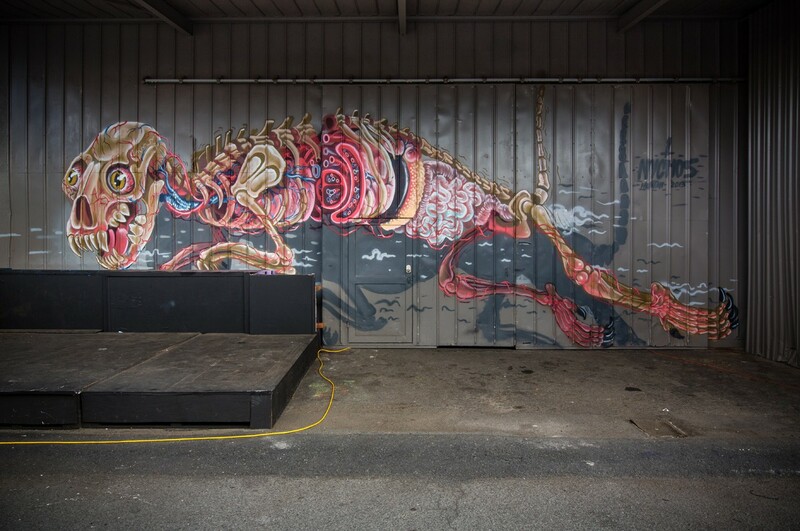 When it came to the front door of Lana Lane Studios, he felt it was appropriate to paint a skinned cat in all its glory. Beware or welcome. It’s up to you.